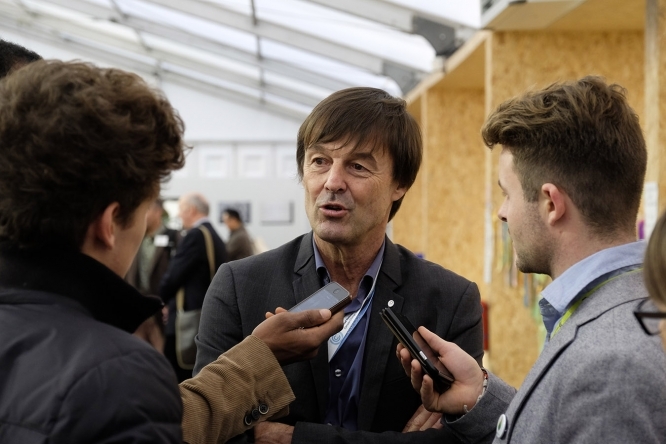 Environment Minister Nicolas Hulot surprisingly resigned from government live on radio on Tuesday. "I am taking the decision to leave the government," Mr Hulot told astonished presenters at France Inter radio, adding that he felt "all alone" in the government on environmental issues. He said he had not informed either Mr Macron or Prime Minister Edouard Philippe about his decision, saying "they may would have tried to dissuade me." "It's a decision of honesty and responsibility - the most difficult decision of my life," he added. He said he had no choice but to quit, because the government had made only “small steps” to protect the environment and failed to question the use of nuclear energy. The shock announcement came the day after Mr Hulot and Mr Macron met members of the hunting lobby at the Elysee Palace to discuss hunting reforms. But he spoke highly of President Emmanuel Macron and Prime Minister Edouard Philippe: "The Prime Minister, the President of the Republic were always affectionate and loyal to me over the last 14 months." Despite his warm words for his bosses, the sudden departure of Mr Hulot, a TV presenter and environmental campaigner who had been lured into government by Mr Macron shortly after his election has been seen as a blow for the President. He had previously refused government positions under Jacques Chirac, Nicolas Sarkozy and François Hollande. The government is preparing an energy policy road map for the next 10 years, which aims to reduce the use of nuclear power. Meanwhile, energy supplier EDF is trying to convince Mr Macron to agree to new atomic plants. France is “persisting” in a nuclear industry that’s a “useless madness, economically and technically,” Mr Hulot said. The very public manner of his departure did not go down well with government officials. "The most basic of courtesies would have been to warn the president of the republic and the prime minister," spokesman Benjamin Griveaux told BFMTV.